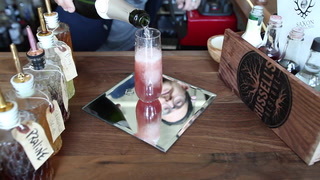 Fort Lauderdale’s first low-key, upscale secret cocktail bar, Apothecary 330, creates variations of classic craft cocktails such as Old Fashion, Sazerac, NY Sour and Vieux Carre made by expert Bar Chefs. Opening at 5 p.m. daily, this private bar has exclusive access from PizzaCraft and features a beverage program consisting of local craft beers, more than 300 types of whiskey as well as an absinthe drip and an extensive wine list with wines by the glass from boutique vineyards from around the country. There are more than 20 craft beers on tap from local and boutique breweries. Apothecary has an antique look and feel featuring vintage-style lounge furniture, sofas and dimmed lighting, welcoming a crowd of sophisticated clientele. Semi-formal dress code is enforced. The intimate space is available to rent for private functions and events.